Dena Bauckman joined Zix in October 2005 and serves as Vice President of Product Management within the Office of the CTO. 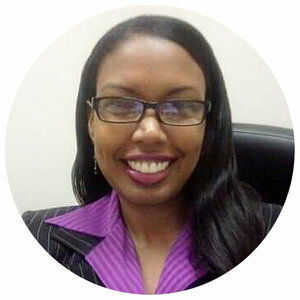 She has more than 20 years of experience in product management/marketing of security, cloud and networking technology. Prior to her role at Zix, she spent 8 years at Sterling Commerce, an ecommerce company, where she was Director of Product Marketing for the secure managed file transfer solutions. She also worked at Texas Instruments, Soft*Switch, and Hewlett Packard. Dena earned a master of business administration from the University of Dallas and a bachelor’s degree in computer science from California State University East Bay. She has had her Certified Information Systems Security Professional (CISSP) certification since 2007. 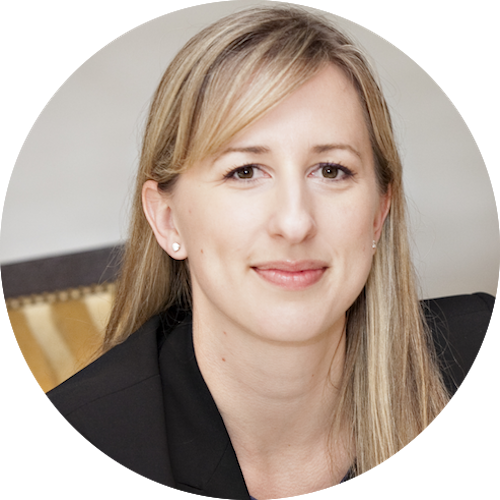 Kristina Bergman is the CEO and co-founder of Seattle-based startup Integris Software, a leading provider of data privacy automation. Integris’s platform is leading the charge in helping organizations build and maintain a defensible data privacy strategy. It is impossible for privacy professionals using manual, survey-based approaches to stay on top of an environment of ever-changing data and these days, the CTO is increasingly being tasked with operationalizing their companies’ data privacy solution. Kristina Bergman, CEO and co-founder of Integris Software, outlines four recommendations for CTOs when it comes to Data Privacy Automation. 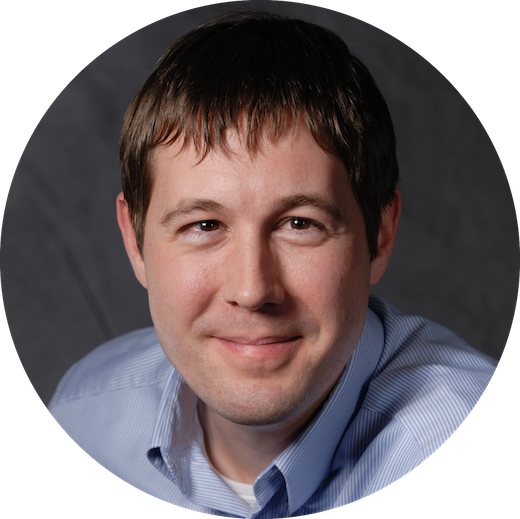 Nathan Burke is a cybersecurity expert at Axonius, a cybersecurity asset management platform that lets IT and security teams see devices for what they are in order to manage and secure all. Don Boxley is a DH2i co-founder and CEO. Prior to DH2i, Boxley held senior marketing roles at Hewlett-Packard where he was instrumental in product, sales and marketing strategies that resulted in significant revenue growth in the scale-out NAS business. Boxley spent more than 20 years in management positions for leading technology companies, including Hewlett-Packard, CoCreate Software, Iomega, TapeWorks Data Storage Systems and Colorado Memory Systems. He earned his MBA from the Johnson School of Management, Cornell University. Higher education has a 4-year cyclical change of new people joining and others leaving. Bryson Bort, Founder and CEO of SCYTHE, explains how this impacts other industries that have similar cycles and what they do to deal with this cyber risk. As we were approaching the end of the conference, we were curious to know how the Sandbox and the Villages presence worked out at this year RSA. So Sean and I sat down with him and talked about circuses and carnivals, world fairs and expositions, which might as well be the future of cybersecurity conferences. Wait, what? Well, let me explain. 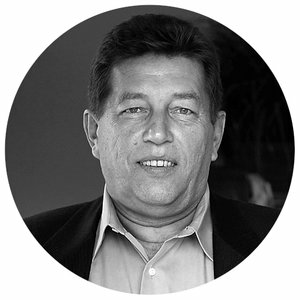 Tom has worked in the network and security industries for more than 20 years. During this time, he has served as a Network Engineer for large enterprises and has had roles in Sales Engineering /Management, Technical Field Marketing and Product Management at multiple network management and security vendors. Currently, as Director of DDoS Product Marketing at NETSCOUT Arbor he focuses on Arbor’s industry leading DDoS Protection Solutions. Dave has a B.S./B.A. in Computer Science and Linguistics from the University of Maryland, College Park and a S.M. in Computer Science from MIT. He is a Trustee of the University of Maryland College Park Foundation, and a Member of the UMCP Computer, Math & Natural Sciences Board of Visitors and Chair of its Entrepreneurship Task Force. Doug Barbin is a principal at Schellman where he leads the firm's cybersecurity practices. He has more than 20 years of experience working with large enterprise, government agencies, and many of the world’s most innovative startups. Today he leads assessments of advanced technologies from cloud computing to AI and Blockchain, allowing companies to communicate their security posture to their regulators and stakeholders. Doug’s previous roles have included managing the product lines for a major managed security service provider and leading global indecent response and forensic teams. Ed Bellis is a security industry veteran and expert and was once named Information Security Executive of the year. He founded Kenna Security to deliver a data-driven risk-based approach to remediation and help IT teams prioritize and thwart would-be security threats. Ed is the former CISO of Orbitz and former Vice President, Corporate Information Security at Bank of America. He is an advisor to Dharma and former advisor to SecurityScoreboard.com and Society of Payment Security Professionals. Ed is a contributing author to the book, Beautiful Security (Oram, Andy & Viega, John, O'Reilly Media, 2009). He is a frequent speaker at industry conferences. Recent engagements include the 2017 Enterprise Security Summit (Dos and Don’ts of Establishing Metrics that Cultivate Real Security) and InfoSec World (Amateur Hour: Why APT's Are the Least of Your Worries). Since the announcement at World Autism Day in 2015, Neil Barnett has been responsible for the program design and development of the Microsoft Autism Hiring Program. He is the leader of the inclusive hiring strategy for people with disabilities across Microsoft. Neil is responsible for conducting hiring academies for the program and enabling corporate accessibility training for hiring managers and teams. Neil is also responsible for the strategy and operational performance of Microsoft’s consumer and enterprise Disability Answer Desk that provides specialist customer support to people with disabilities. Prior to joining Microsoft, Neil worked at a startup in San Francisco and also for Avis Rent Car. He is a graduate from Georgia Tech and is an avid tennis player. Neil Barnett, Director of Inclusive Hiring at Microsoft, and Marian Merritt, Lead for Industry Engagement at the National Initiative for Cybersecurity Education, chat with ITSPmagazine’s Selena Templeton for the Diverse IT podcast about cybersecurity and autism. Tune in to hear about Microsoft’s Autism Hiring Program and their inclusive, non-traditional interview process for autistic job candidates, which skills make autistic people ideal for certain jobs in IT or cybersecurity, and what to expect in the October 18th NICE webinar on cybersecurity and autism. Tim Brown is at the front line of the most vexing challenge facing organizations today: IT security. 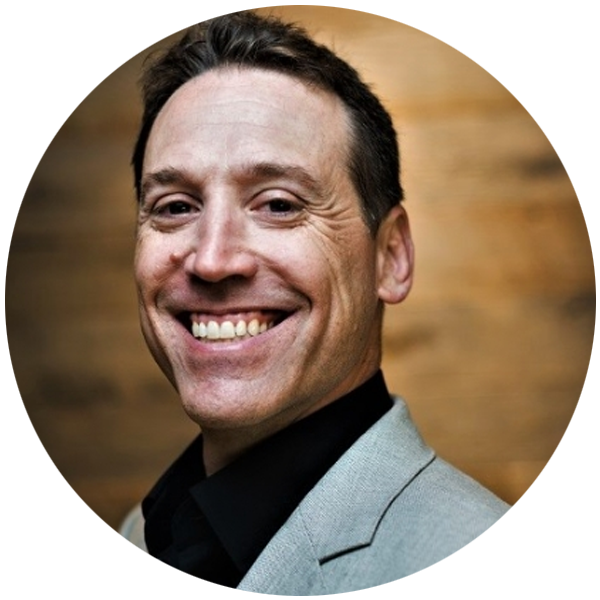 As a former Dell Fellow, CTO, chief architect, distinguished engineer and director of security strategy, Tim deeply understands the challenges and aspirations of the person responsible for driving digital innovation and change. Tim has over 20 years of experience developing and implementing security technology, including identity and access management, vulnerability assessment, security compliance, threat research, vulnerability management, encryption, managed security services and cloud security. Today, as a technical advisor and chief product officer, Tim is developing the future of IT security, and it’s a future that is addressing customers’ biggest challenges using a proactive, rather than a reactive, approach. His strong industry knowledge in finance, healthcare, education, manufacturing, retail and government enables Tim to provide relevant and actionable insights. Nationally, his trusted advisor status has taken him from meeting with members of Congress and the Senate to the Situation Room in the White House. He has been on the board of the Open Identity Exchange and a member of the Trans Global Secure Collaboration Program driving advancements in identity frameworks and working with the US government on security initiatives. He is a member of the Advisory board for Clemson University and holds 20+ patents on security related topics. If we continue to treat information security as the brakes on a vehicle, we will likewise continue to find we can’t speed the business up to its fullest capacity. Randy Bergman founded RNB Communications in 2000. RNB creates custom strategies, plans and programs for each client’s individual needs in the focus areas of: employee communications, IT launches, Information Security awareness, video/multimedia and motion graphics production, branding, social media and event production. Previously, Randy was Senior Director, Internal Communications for Fluor Corporation; Manager, Communications & Community Relations for Colgate-Palmolive; a production team member of the CBS Evening News with Dan Rather; and part of the Assignment Desk team at WCBS-TV News in New York. She is a graduate of Ithaca College with a BS in Communications. Randy is a member of the Directors Guild of America, a former Board member of the Council of Communication Management, and a past Board member of the Los Angeles chapter of the International Association of Business Communicators. Randy actively supports and volunteers for political, social and civic causes, including LA2024, the Los Angeles Olympic Bid Committee. Nicolai Bezsonoff is the General Manager of Security Solutions at Neustar. He spearheads the company’s industry-leading DDoS, DNS and IP Intelligence solutions, including its cybersecurity operations. Previously, he was the co-founder and COO of .CO Internet, a successful Internet company based in both Miami and Colombia, which was acquired in 2014 by Neustar. Under his tenure, .CO had incredible growth and became one of the most successful domain extensions in history, with more than 2.2 million domain names registered by people in 200 countries. “I suppose it is tempting, if the only tool you have is a hammer, to treat everything as if it were a nail.” - Abraham Maslow, The Psychology of Science, 1966. But using firewalls to protect against DDoS attacks has its limitations. Mike Barmonde is a senior engineer at Ivanti. As an end-user advocate and cloud-technologist for over a decade, his passion is equipping enterprise IT with solutions to make them a leader in business development and strategy. When these technologies align with expectations, boundaries disappear, and the possibilities become endless. Agnostic yet unceasingly driven, his talents lie in his ability to adapt to the never-ending diversity of IT verticals.The future of the enterprise rests in the hands of its users, and he strives to become one of its advocates. For over a decade, Kyle Bubp has been elevating the state of security for enterprises, service providers, government organizations and the industry at large. Throughout his career, Kyle has worked on several privileged and classified U.S. government projects for multiple 3-letter agencies. He has developed secure architectures for fingerprint processing, protected research for the scientific and academic communities, and locked down environments for defense logistics. He's put his skills to the test at a massive scale for an international hosting company and has since co-founded Savage Security, an InfoSec Research and Consulting firm. Kyle has been published in ISSA Journal about the malware threat and he continues to pen articles and speak about best practices in security. The best defense against growing waves of more intelligent ransomware is an aggressive offense. To ensure that your enterprise is ready, consider these five tips offered up to us by Kyle Bubp. Keirsten Brager, CISSP, CASP is the founder of hiddencyberfigures.com. This personal project is dedicated to increasing the number of women in cyber by mentoring & sharing success stories in her demographic. She's a security engineer by day, cybersecurity graduate student, CompTIA exam developer, and public speaker. Keirsten is also a regular contributor to Tripwire's The State of Cybersecurity blog. Julien Bellanger is co-founder and CEO of Prevoty, a next-generation application security platform. Most recently, Julien founded Personagraph, an Intertrust company focused on mobile user privacy. Before joining Intertrust as Director of Corporate Development, he built and led Thomson/Technicolor’s digital advertising business unit in Latin America. Julien started his career as a Corporate Auditor at Thomson/Technicolor after launching his first startup in college, the first French social network exclusively for students. Julien received a B.S. from I.S.G and an MBA from the Tuck School of Business, Dartmouth College. Jay Beale has been working in Linux security since 1999, when he began creating several defensive security tools, including Bastille Linux/UNIX and the CIS Linux Scoring Tool, both of which were used widely throughout industry and government. He has served as an invited speaker at many industry and government conferences, a columnist for Information Security Magazine, SecurityPortal and SecurityFocus, and a contributor to nine books, including those in his Open Source Security Series and the "Stealing the Network" series. He has been invited to speak at and chair conferences around the world. He gave his first talk at Black Hat in 2001. Jay is a founder and both the CTO and Chief Operating Officer of the information security consulting company InGuardians.